We’re glad you’ve chosen to open a new account with Grow Financial Federal Credit Union. We will be providing you with some important documents below to continue your account application. As you read and agree to these documents, we strongly recommend you print and retain a copy for your reference. 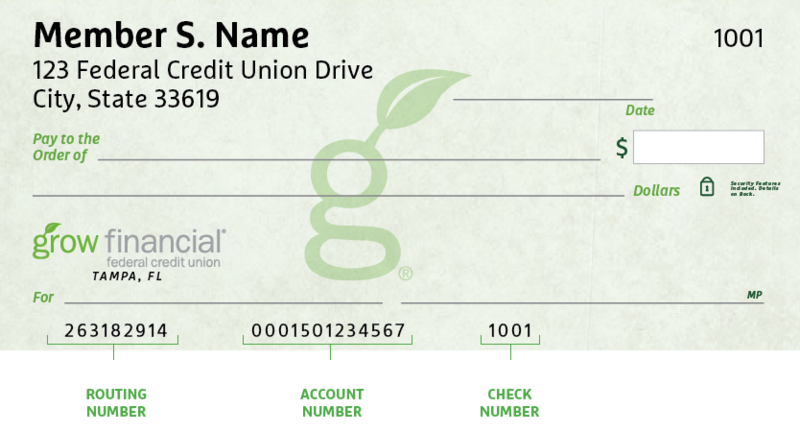 By clicking the “I Consent” box, you (“You”, “I”) are providing consent for Grow Financial Federal Credit Union (“We”, “Us”) to provide required disclosures to you electronically. This consent for electronic delivery applies to all required disclosures regarding accounts you have with us, and is effective until withdrawn by you. Electronic acceptance of disclosure means that we will not mail them to you unless you withdraw your consent as described below. Notices or disclosures about a change-in-terms on your share account. Notices related to any dispute you might raise under the Electronic Funds Transfer. All legal and regulatory disclosures and communications associated with the product or services available through the online service for your account. Electronic Disclosures. If you agree to receive disclosures electronically, you specifically agree and acknowledge that we may provide the disclosures electronically either by sending an email with the text of the documents embedded in the body of the email message or as an attachment contained within the email, or by posting such disclosures on our online banking service and notifying you by email that the disclosures have been posted. If any of our emails are returned or you no longer have access to online home banking, we will change the delivery mode to paper format. Requesting a Written Paper Copy of Disclosures. You may request a paper copy of any disclosure or other information received electronically under this Agreement by calling us at the number listed below. Termination of Consent to Receive Disclosures and Documents by Electronic Means. You may terminate this Agreement at any time by notifying us in writing at the address below, or by email sent to member.service@growfinancial.org, or by calling us at the number listed below. You agree to allow us reasonable time to resume providing disclosure and other information covered in this agreement in written form. System Requirements. You must have a computer with access to the Internet and a browser that supports 128-bit encryption. Adobe® Reader 7.0 or higher is required to view your electronic disclosures. Change of Email address. If you change internet service providers used to receive electronic notices, you agree to notify us of your new email address. Consent. By selecting “Yes, I consent to Electronic Delivery of Disclosures,” you consent to receive all disclosures listed above. You further agree that your computer satisfies the system requirements listed above and that you have provided us with a current email address at which we may send electronic disclosures to you. Yes, I consent to Electronic Delivery of Disclosures.